A few days ago, Earth Ocean Sky Redux posted about her recent attempt at making pancakes for the family. The word “attempt” gives away the ending, of course, but I think you’ll enjoy the pictures as well as her narrative. By presenting photographic evidence, EOS seemed to be throwing herself on the mercy of the court, which later ruled that she’d been working without benefit of her first cup of coffee and was not responsible for her actions. That post, while highly amusing, also brought back some dark memories for me. I have been banned from making pancakes in my house, although not forever. I’m on probation for five years, and will then be allowed to return to pancake making activity, but only with strict adult supervision. Until then, I am not permitted to be within three feet of the griddle or any large frying pan and may not come into contact with a spatula before 12 p.m. These restrictions, as you will see, are harsh, cruel, and unjustified. I have always loved making pancakes. I want you to know that. What took place on that fateful morning in 2008 was not intentional or premeditated. And it was not my fault. We use a boxed pancake mix, called “Fluffy & Complete.” This means that you need add only water to make pancakes that are light, moist, and scrumptiously perfect. (Pretty much anyone with half a brain can do it, a description that I have no doubt includes me.) The powdered mix contains flour and dried egg yolks, but it also has aluminum phosphate. How someone thought to add aluminum to a food product, I couldn’t tell you. I only know that if I had done that, I’d have been banished to a small tent in the backyard. It was a cold, bright Sunday morning and I had promised to make a pancake breakfast, something I’d been doing with great success for many years. I liked pouring out the batter into nearly perfect creamy white circles, then watching as the bubbles formed and popped. The outer edges would turn a light brown, indicating that it was time to cook the other side. Our griddle is the size of a small aircraft carrier, big enough for about eight pancakes. The plastic spatula is large and exactly suited for turning them over. Everything looked good. Except for one minor detail: we were almost out of pancake mix. The directions on the box indicated full cups of mix for each quantity of pancakes desired. I needed two cups; we had only about a cup and a third. To make up the difference, I added two-thirds of a cup of flour, but no matter how vigorously I stirred, the flour refused to soak in. The batter had puffs of white powder that just wouldn’t go away. I decided to add a little warm water to get it to dissolve. That seemed to work, but now the batter was too thin, I guess because I added too much water. So I scooped out another half cup of flour and threw that in. By now I was completely lost, similar to what happens when I make one too many turns while driving in an unfamiliar neighborhood. I couldn’t remember what I’d done, but there was no turning back. I plugged in the griddle and tried to ignore the slight tightness in my stomach. Questions were yelled in from various parts of the house. Questions such as, “How are those pancakes coming?” I answered with a hint of irritation, just enough to hide my growing panic. “How do you think they’re coming?” I said. That seemed to shut them up. I poured the batter onto the griddle and immediately noticed that it was neither creamy white nor forming nearly perfect circles. I refer you again to the EOS photos, if necessary. The similarities are striking, with one important difference: hers seem to be three-dimensional. That is, they look as though they have thickness. My batter kept spreading, the way skim milk would if you poured it onto a table. Confident in my cooking skills as well as my ability to adapt to unexpected circumstances, I waited for the bubbles and the telltale browning edges. They never appeared. Bubbles, apparently, require some depth to form. And because there was no thickness, there were also no real edges to brown. These weren’t going to become pancakes, I soon realized. They would be more like crepes. Really thin crepes. “Does everyone like crepes?” I asked, in a suddenly pitiful voice. I was relieved when no one answered. I knew that eventually I would have to flip the pancakes over, if just to see what might be happening on the other side. The spatula slid under them smoothly and easily and they turned without the least hint of resistance. I could feel my confidence returning and began to dance the moronic dance of a cook who has no idea that he’s about to serve up a disaster. “Who wants pancakes?” I yelled, as I began to distribute them onto plates. As each person came in and took a plate, it did not go unnoticed that the stacks of three pancakes were surprisingly short, and had a color not normally associated with breakfast. These pancakes looked similar to those round rubber sheets you might use to open a jar whose lid is on too tight. Someone mentioned the color. They began to add butter and syrup to the tops of the pancakes. Everything ran off like rain hitting a freshly waxed car. The pancakes sat in the middle of the plates, flat islands surrounded by lakes of butter and syrup. Everyone tried to take a bite, but as thin as they were, these things had the elastic strength of some space-age material designed to shield astronauts from radiation. After a few minutes of struggling and pretending, we all decided that the best thing would be to throw the pancakes outside to feed the hungry, frostbitten birds hovering in the backyard. I opened the door and grasping one of the pancakes from my own plate, I flung it out toward the trees about forty feet away. Now, a pancake should not possess the ability to be flung. It should break into pieces as soon as it leaves your hand. This did not happen. It held together and flew the entire forty feet, then bounced off a tree and hit the ground, still in one piece. A bird eventually descended from its branch to inspect the offering. It pecked at the pancake and I felt some comfort, knowing that these birds, cold and hungry, would have something to eat. The bird pecked a few more times, then flew up into the tree, where about twenty other birds were waiting for his report. Then they all flew away and never came back. The rest of my family spent the next ten minutes seeing how far they could throw their pancakes, and if they could get one to bounce off two trees without breaking. My daughter claimed to have done this, but by then everyone else had lost interest, so there were no witnesses. I’ve served almost three-fifths of my probation, having appealed every year to get my sentence reduced to time already served. Those requests have all been denied, but I can see a light at the end of this long and dark tunnel. Just last month I was granted visitation rights to the mixing bowl. I was permitted to say the word pancake out loud, one time. And the birds have begun to return, although cautiously. There’s a haunted look in their eyes as they glance nervously toward the back door. They’re a lot like family, those birds. Exactly like family, in fact. They don’t forget anything. Misery loves company. Here is a note I wrote on Facebook last February, after Katy had mentioned that I was becoming a really good baker. Getting a compliment on any skills I might have, should have been the tip-off that I should stay OUT of the kitchen. I modified the note to make sense here. I filled 2 pans too high (in my defense, she NEVER mentioned that I might need 3), so they started spilling over. It was just a little at first, so I took a spatula and cleaned each little bit up really fast, before it could burn. I walked away for a minute to eat lunch and then it spilled over ALOT. So of course it is burning and smoking. I open the oven and now the house is filling with smoke so I open the windows and front door, so the smoke detectors won’t go off. I pull out the racks and the pans, which makes a huge mess on my oven mitts. The batter is all over the sides of the pans so it makes a major mess on the stove top. As I am cleaning all this and scraping burnt, smoking batter off of the bottom of the oven, I realized my “indoor only” cat probably got out, but I figured he stayed on the front deck. I look out and see him halfway down the driveway. So I get my boots and coat and before I walk out, I see him on the deck so I let him in. (At least I hope it’s our cat. The neighbors have two black cats that are the same size, so I’m not totally positive.) I washed the racks and I try to clean the bottom of the oven, but of course, I had to let it cool down a bit so I wouldn’t burn myself. Meanwhile, these half-baked cakes are sitting out on the counter. I put them back in and after a bit, I scooped out some of the top of one of the cakes that were already browned. I thought it would bake better. After I scoop off the top, I can see that there was hardly any batter left and it was no longer rising, as cakes should when they bake. I haven’t tried to get them out of the pans yet but let’s just say, I am not filled with confidence at this point. 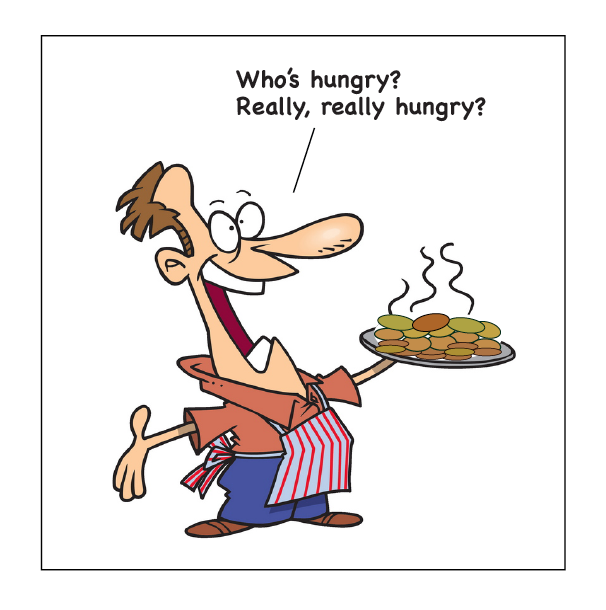 Do you think someone would write a cookbook so that they would get MORE business at their bakery? I think maybe Dawn is an evil genius. Sorry for the length of this comment! Can you send me the recipe? It sounds like fun. I think writing a cookbook is like teaching anything — it’s easy to forget what it’s like to be a beginner, and it’s very easy to leave out a crucial step or piece of information because it’s so second-nature to the expert. I’m just glad you (and the cat) survived. I was at the library, using a computer among about 20 other people, when I read this. They probably all thought I was crazy because I kept laughing and trying not to laugh and sputtering from trying not to laugh. You get the picture. Hilarious post! If you need any letters of support to get your sentence reduced, let me know. 5 years seems a bit harsh. I probably would have sentenced you to 2, if I were your family. But then again, I didn’t see or feel or fling the pancakes. I probably should have consulted with a lawyer, but who thinks of that on a Sunday morning? Thanks for the comment, Kevin. I had a scarring pancake-making experience myself. Literally. I was showing off (and as we all know, pride goeth before a free-fall) and showing my kids how to flip a pancake over without using a spatula — which, similar to a backflip, takes a total commitment to the movement or you’re completely screwed. For some reason (probably the doubting attitude of my kids), about mid-flip my insecure brain caused my wrist to stop, mid-flipping motion, and the scalding hot pancake, doughy and adhesive, landed right on my forearm — sizzling it into oblivion. I still have the scar. But the real question is: why was I making pancakes when I’m a phenomenally talented WAFFLE maker?? (from scratch — of course!) It’s a mystery. Your blog made me hungry and I think your family should give you time off for good behavior and let you get back in there and make a stack!! Thanks for the support, Betty. But my incident was much less painful than yours. And waffles, that’s a whole other area of expertise. I can never remember if the little light comes on — or goes off — when the waffles are done. And that first one never comes out right. It’s all very complicated. But now your comment has made me hungry. I vote your family instantly declare The Pancake Fling as an annual tradition. Get kilts and bagpipes, invite neighbors and friends over; become the next YouTube sensation! First, recreate and trademark the recipe. Then start a Pancake Fling website. Get others to submit their flinging distances. I can see it now. Former blogger becomes trillionaire with new Pancake recipe for Flinging. An Olympic sport. Oprah. Ellen. I swear you need to have your own sitcom or join up with the Farrelly Brothers to write movie scripts. Pure genius, BB. You’re the genius, EOS — I never thought of any of that. And the Pancake Fling sounds so brilliant that I bet somebody is already doing it, although probably without the bagpipes. A trillionaire. Seriously? That would be worth putting on a kilt. And they gave you FIVE YEARS for that? After inventing a new and exciting sport and everything? Mistrial! Oh, the injustice of it all. So they ate Poptarts that morning. I’ll have to tell you about the time I made fried green ‘maters. But not now. I still can’t breathe or see clearly. Thanks for this tale of culinicide. I still make the best cheesecake around, and ain’t nobody can take that away from me. Culinicide. Did you make that up? I like it. If you have ever made pancakes from scratch, you’d have known the requisite ingredients are flour, eggs, melted butter, milk, salt and baking powder (a.k.a. an aluminum compound!) Flour and water alone is good for Papier-mâché. I thought using the boxed mix was making them from scratch. But now that I think of it, the part about the flour and water does explain a few things (especially the bounciness). Where were you when I needed you? I’m sorry that your family judged you so harshly for this. Clearly, if anything, it was a case of negligent cooking, requiring, at most, a one-year probation. I have an important rule when I cook–I follow recipes exactly. I never stray. I’m not someone who can do a dash here or a dollop there. I need exact measurements with no improvisation necessary. If it can’t be done, I don’t do it. In fact, I’ve gone so far as to pull out a pencil and paper so that when recipes give me a “range” of measurements, I can go exactly to the middle of the range for every ingredient. There is no “passion for cooking” when it comes to me–only absolute terror that something won’t work out. If I had been faced with your situation, I would simply have curled up on the kitchen floor in the fetal position, muttering “it just won’t work. It just won’t work,” over and over. I admire your bravery in soldiering on. I will probably never have my own cooking show, but I’m at peace with that now. I think your pancakes could be decorated to make Christmas decorations (or Valentine’s, or Hallowe’en). Or you could market them to farmers, looking for things to scare away the birds. I really think you should look at the opportunities for you in this error, similar to how penicillin was discovered (I’m pretty sure that was an accident, too). You may have accidentally baked the cure for some awful disease and not even known it. For that, they should hold a parade in your honour, not punish you. PS, my computer thanks you for all the water I spit out while laughing when reading this post. I don’t know why, but I never learn. I shouldn’t ever drink anything when reading your blog. Thank you, Heidi. I am feeling something like a groundswell of sympathy here, which could very well explode into a public outcry for justice. The parade seems a little far-fetched, though. There have been so many occasions in my life when a parade would have been the appropriate gesture and it just never happened. Your fear in the kitchen would have come in handy. I’m pretty confident when it comes to combining ingredients and guessing the correct amounts. But those pre-formulated mixes are rigid and don’t allow for much creativity. I wish I had thought of the penicillin thing back when this happened. Maybe I did inadvertently discover the cure for something. But it’s been almost three years now, and those pancakes in the backyard have begun to decompose. Well you certainly know how to create a sympathetic character! Even I felt bad for you, and I was one of the victims eating the pancakes. How about we make a deal? I will attempt to eat your pancakes when I am home this summer. If they’re good, I’ll never tease you again about this incident. If they’re bad, I have your permission to actually create an annual Pancake Fling event. Sound like a fair deal? The problem with the Pancake Fling is that I would need to re-create the precise formula that produced the rubber pancakes in the first place. That doesn’t seem likely. But I’ll consider your offer and get back to you. And I was a little stung by your casual use of the word victims. Sucker, fool, chump…are any of those less offensive? Actually, I think I like victims better. I can quite relate with this one! My sympathies. But judging from Allison’s comment above, there’s still hope. Either way. You either get back to making pancakes for unsuspecting people for breakfast, or get to launch Pancake Fling rightly credited to you! Such fun. Dear Bronxboy– Your minor culinary disaster shouldn’t have put them off your pancakes for so long. Perhaps you could sneak in a try sometime and turn the tide against you – get paroled, so to speak. Myself – I will never get a reprieve from the governor – I made the mistake of telling my coworkers about the time I had some paper mache mix left over from a craft project (I can’t stand to waste stuff) and I used it to make some quite “delicious” pancakes. Now I have a history – and no one will trust a thing I bring to the potlucks. Apparently that’s exactly what I did, although not on purpose, so my crime was at least involuntary. But in both our cases, isn’t there a statute of limitations? I’m pretty sure even assault and battery charges have to be dropped after just one year. A bad pancake is certainly no worse. Forgive me for being so foul, but that was f’n funny! Five years feels far too firm for finding fault with failed, yet flingable, flap jacks! (just trying to water (flour?) down my f-words there). They probably won’t ask me to sit on your probationary panel, though, since I currently am serving life without parole for feloniously discovering that the digital clock on my oven beeps like crazy and spells out the word “FIRE” when there is one inside. It’s ok, I’m not trying to get released. Perhaps you can sway the board by convincing them you’ve found culinary enlightenment by watching some Food TV. I can’t cook spaghettios, but while watching these shows with my husband, I’ve learned things like mirepoix, bouquet garni and roux. It may not get your “Executive Chef” title back, but you certainly should be able to talk your way into a Sous Chef position. 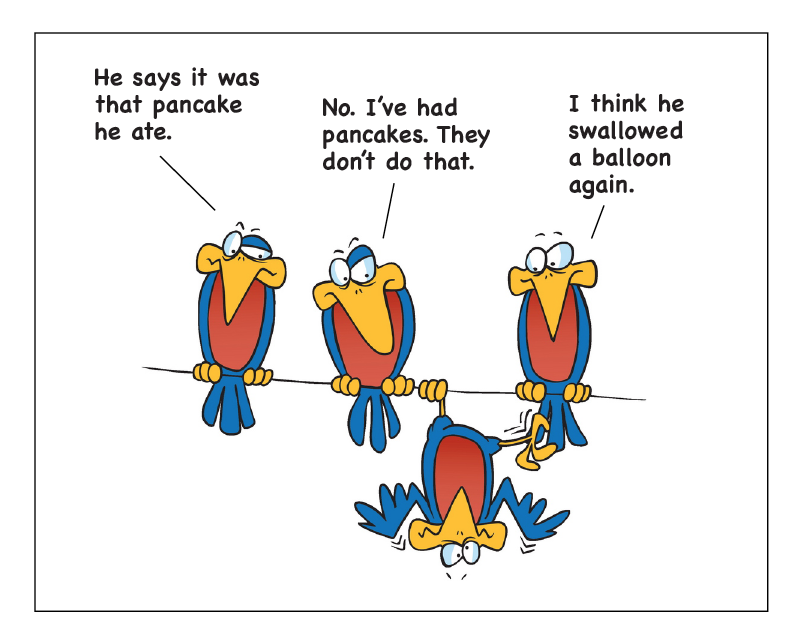 You can have Pancake Tuesday every week (except where prohibited by law). It’s March 8 this year. I just looked it up. LOL! Great story. I hope you get off probation early. I was the worst pancake maker until I stumbled upon a “from-stratch” recipe that worked for me. That is until the day I mistakenly used baking soda instead of baking powder (or vise versa…I can’t remember which is the right one). You know you have messed up when the batter isn’t bubbling a bit. They were nasty – even the dog turned his nose up at it. Apparently baking powder is the right ingredient. I once made an apple pie and used a cup of salt instead of sugar. I don’t know what baking soda does to affect pancakes, but it couldn’t have been any nastier than that pie. Funny post Charles.. I love the balloon bird.. Awwww..
I’m sure anyone in my house would have gladly eaten India-shaped pancakes over the ones I made. But it is beginning to sound as though everyone has horror stories of their own, so I feel better. By the way, dosas aren’t a breakfast food, are they? OK, I am at work and glad no one can hear me laughing at both the story and the comments. Personally, five years for making a flingable frisbee pancake might make it a felony and totally fair. Invite me to the Great Flinging Event. A felony. Well, with your help I’ll probably end up in a maximum security prison doing twenty to life. You may have to hold the event without me. Every time I come here I am guaranteed six guffaws, five snickers and at least one person who doesn’t give you a bit of sympathy. This is great! I like the “idea” of making pancakes. I can’t seem to master the flip; more than one over-sized flapjack has been delivered like a giant Mizpah. Fortunately, my wife LOVES to make pancakes with her “secret” recipe that we all know from watching her. She flips like a champ. The flipping should be the hard part, assuming you’ve gotten everything else right. And I have trouble with that, too. I usually end up with splashes of pancake everywhere (batter spatter, I suppose we’ll have to call it). Don’t let your wife know you’ve figured out her recipe. Great story, sorry about the long sentence, though… five years seems a bit extreme! And anyway, it was obviously not pancake mix, but frisbee mix! Poor birds. Ours feel the same way about being offered white bread. Or wholemeal bread. Or pretty much any bread really, but that’s because they are used to eating (aka demanding) mealworms and birdseed and chopped peanuts. To them, bread is some totally inedible thing that no-wings insist on throwing into the air. It’s very extreme, Val, but the sympathy helps. At the same time I’m getting a little nervous about the sentence coming to an end. I’m sure I’ll have to justify all of this protesting by making the best pancakes of my life. The bar will have been raised, and I’ll likely get just the one shot to prove myself. These no-wings I live with are very demanding. I so appreciate male bravado in the kitchen. One of the dearest memories I have of my father was the day he was cooking lunch. He was treating us to one our favourites – potatoes fried to a crunchy crust with fresh onions in a healthy dollop of oil. Mazola oil came in tins those days – as did dishwasher soap. I have to admit, the rainbow effect in the bubbles went well with each perfectly browned, crusty serving. Come on, Amy. A little elaboration, please — there’s a whole post in that story. I can’t begin to describe how much enjoyment I get out of bronxboy55’s blog entries and the accompanying comments. If I’ve visited in the morning, I often walk around with a silly grin on my face for hours. And if I read it at night, I go to sleep thinking that as long as there’s laughter and fun like this in the world, there’s much more hope for the future than I usually imagine. Thank you, everybody! Thank you, Marie. I certainly agree with you about the comments, and yours has just made my day. When you are off probation I have some EASY tasty pancake recipes I can send you…..you should have more success than the instant variety! Thanks for your support, Patricia. I’d been using the instant mix for so long that it rarely occurs to me, even now, to try a real recipe. I’ll let you know when the heat’s off, so to speak.